For many brands, the concept of customer support has been a comforting constant over the last several decades of broad, dynamic changes in the marketplace. But now technology is rapidly changing customer support expectations, and today’s brands have to transform their support solutions in order to stay competitive–and stay on their customers’ good sides. In our case, at Pagely, this ethos guides everything we do. As our Head of Customer Success, Kris LaGraff, puts it; our core value is basing our success on the customers success, we’re all on the same team. Why Are Customer Support Expectations Changing? How Have Customer Support Solutions Changed? These changing expectations are due, at least in part, to the rise of both e-commerce, SaaS, and social media. In a sense, the customer experience never ends–and modern brands have an obligation to honor that experience on the customer’s terms. As consumers’ customer support expectations have changed, the solutions deployed by brands eager to maintain and improve relationships with their customers have evolved in profound ways. Personalization is important because 84% of customers say that being treated like a human being is incredibly important to them. That said, treating customers like a number is a terrific way to lose business. Personalization acknowledges the humanity of your customer. Modern customers expect interactions to be conducted on a personal level–so ensuring your customer support representatives emphasize the little things (such as getting the customer’s name right) is important. It’s also important for customer support representatives to have a thorough understanding of the customer’s journey up to the point of their current contact. Tracking how past interactions have been resolved is essential. In digital spaces, customers expect brands to interact on a personal level. This can mean exchanging emails or direct messages. Even when these messages are auto-generated, customers expect them to be personal and helpful. Your customer speaks to a skilled technician or support representative the very first time they reach out. They aren’t juggled between multiple staff members, needing to repeat their question or concern multiple times, and they are put on the path towards a solution immediately. Your support team is staffed efficiently. You don’t waste resources on tier one support staff, because you know they don’t offer the best experience for your customers. Customers know that when they need something from you, it will be handled quickly. They know that they’ll speak with someone first who understands their problem and, more importantly, understands how to solve it. “By utilizing a tier-less support system we can provide expert knowledge efficiently with little to no escalation delays,” Kris, of Pagely, adds. Social Media: Most brands have a social media presence, and customers do expect a full customer support experience on each and every platform, whether initial contact messages are sent via direct message or through mentions, tagging, or hashtags. Website Contact Forms: Your website has always been a good medium for customers to reach out to your brand. Modern customers expect contact forms to work perfectly on both the mobile and desktop versions of your website. They also expect contact forms to be easy to find. Live Chat: There was a time when calling a customer support representative was the most expedient way for a consumer to connect with a brand. But today, many customers prefer chat-based options. The more mediums through which your brand can offer customer support, the more likely you are to meet your customers on their terms and improve the overall experience. It’s important to closely track all of those mediums and ensure they’re staffed appropriately to the level of demand your brand experiences. A brick-and-mortar retail store is typically open for a set number of hours every day. In the past, this meant that retailers would only need to provide customer support during those hours. But modern consumers expect 24/7 customer support. When they use the chat option on your website, for example, it doesn’t matter to the customer whether it’s 3 p.m. or 1 a.m.; they want to know someone is listening. This isn’t always going to be possible, but it’s difficult to fault the customer for the expectation. After all, if they can make a purchase on your website at 1 a.m., why shouldn’t they expect to receive customer support when something goes wrong? The solution that many brands have come to rely on is automation. 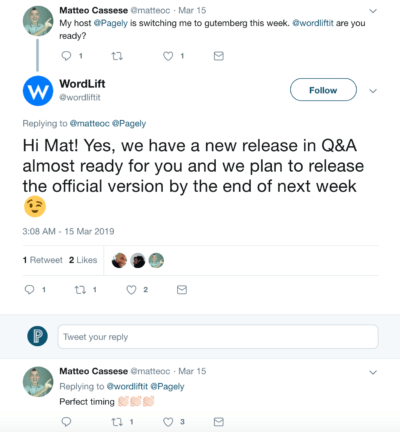 There are numerous automation solutions available today, especially for brands that rely on WordPress for their websites, which offer easy chat plugins. Customers expect to at least be notified that their communications have been received, and they know that it’s best practice for the company to respond in less than twenty-four hours. It’s safe to say that not only do modern customers expect 24/7 customer support, they also expect rapid responses to any queries or communications. It’s true that most customers will give brands something like twenty-four hours to provide customer support in a digital space. But that’s a minimum expectation. Ensure that staffing levels are appropriate. Good customer support often requires a human touch. Automate as much of the process as you can. However, avoid linking customers directly to an FAQ page as a customer experience solution–most customers will find this immensely frustrating and give up on the process and your brand in one fell swoop. Respond to a customer immediately even if you need time to resolve their issue. Customers like to know you’re working on it, even if it might take some time to see results. Use a variety of means to communicate with customers. For example, a direct message on social media may be a faster way to get in touch with your customer than leaving a response on a thread. You might not think about data protection and security as part of your suite of customer support solutions, but consumers certainly do. Fifty-nine percent of customers believe their information is vulnerable, even in good hands such as yours. That means customers expect you to reassure them that their data is safe. Be transparent about how you use data at every stage of interaction with your customers. Customers do expect you to use their data in some way; just tell them how. Allow customers to opt out of data collection during the customer support experience. You may need some extra infrastructure to accomplish this, but your customers will appreciate it. If your business experiences a data breach of any kind, have a plan in place for notifying customers with urgency and transparency. Generally speaking, while today’s consumers might be worried about a data breach, they also understand that it happens from time to time. What they expect in terms of customer support is expediency in being notified regarding breaches that might impact them. According to a recent SalesForce survey, something like 69% of consumers expect an “Amazon-like” experience. To a certain extent, this means that your business is held to the same standard as the largest e-commerce operation in the world. Whether that’s fair or not is immaterial. It’s just a fact. As you plan your customer support solutions, then, it’s worth thinking about ways in which you might emulate Amazon or other large operations that emphasize customer support. After all, if operations such as Amazon are shaping customer support expectations, it’s only natural to look to them for solutions. Monitor social media mentions. Many customers will use Twitter or Facebook, for example, as a primary channel to contact brands. Every public complaint is an opportunity for your brand’s customer support to shine–but a misstep here could be costly to your reputation. Most social media platforms also provide a means to direct message customers. Changing conversations to these direct messages is a good strategy when consumers have particularly personal complaints. Ensure that your business has a presence on all major social media channels. Customers will expect your brands to be there and be active. Managing customer support expectations in the age of 24/7 social media can be challenging for a business of any size. That’s why it’s vital that brands take advantage of every opportunity their technology infrastructure allows. When your business leverages the power of WordPress, several significant advantages become immediately apparent. Respond to customer support requests across multiple channels, including various social media platforms, from one centralized location. Use chat services to provide immediate customer support to consumers. Gather data and analytics on customer support metrics. Zendesk is only one such WordPress plugin, of course. There is a wide variety of options, and businesses will each have individualized needs based on performance, niche, and infrastructure. The advantage to most of these plugins is significant. First, they leverage your central and already-active content management system. This means you can introduce much-needed efficiency into your customer support solutions. Second, WordPress plugins of this stature are typically well vetted and reviewed, meaning your brand’s operation can hit the ground running with new and improved customer support solutions. 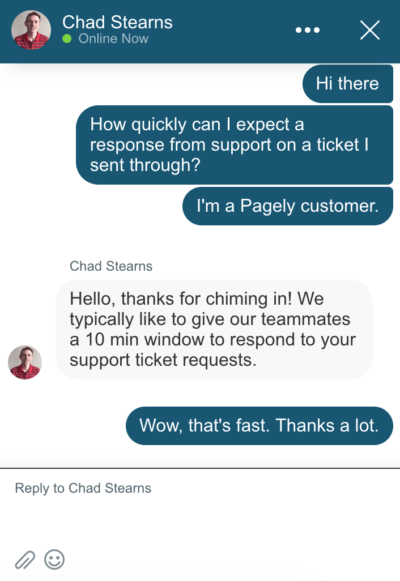 This topic is so important to us at Pagely, in particular, because top-notch customer support is the ultimate driver behind every single thing we do. We’re only happy when our customers are happy, and that starts with the support we provide. Customer support expectations have changed wildly just in the past couple of years. Customers expect 24/7 responses. They expect fast resolution. And they expect you to notice when they’re publicly unhappy on social media. Technology has made the customer support game more challenging and less forgiving. But in some ways, customer support hasn’t changed that much at all. Customers still demand to be respected; they want to be treated like more than a number. They want that human touch, no matter how big your brand or business happens to be. In that sense, customer support expectations have remained steady throughout the decades. You simply have bold new ways to deliver customer support solutions and your business needs to be ready to take advantage of them.